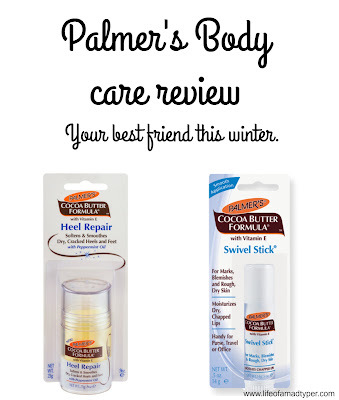 Specially formulated to soften and smooth dry, cracked or callused heels and feet, Palmer's Cocoa Butter Formula Heel Repair contains pure Cocoa Butter, Vitamin E, Shea Butter and Peppermint Oil in a convenient no-mess stick applicator. These are great to have around the house. Not only do they feel great on the skin they also smell amazing. The heal repair has helped with the old man's horrible cracked heels. He loves the way it feels on his feet. I don't have issues with cracks but my heels get pretty dry so I like to put this on my heels and then put on fuzzy socks. It doesn't feel greasy but feels super moisturizing. I like that it has a screw on top that won't come off by accident in my bag. The Swivel stick is my best friend. I love to have it on hand to use on my elbows. They dry out like crazy during the winter and this is great to slap on my elbows. I like to keep it in my purse for easy use. The container makes it easy to use and is about the size of a glue stick. It can also be used like a chapstick but I am more into using it on my elbows. 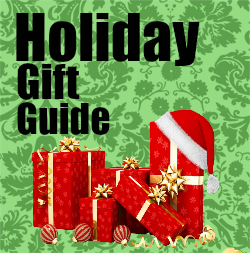 It heals the dry parts of my elbows in under 2 weeks when I use it daily. My elbows are ok right now but as it gets colder they are getting dryer and I am about to start using it daily again to prevent them from getting bad again this year. 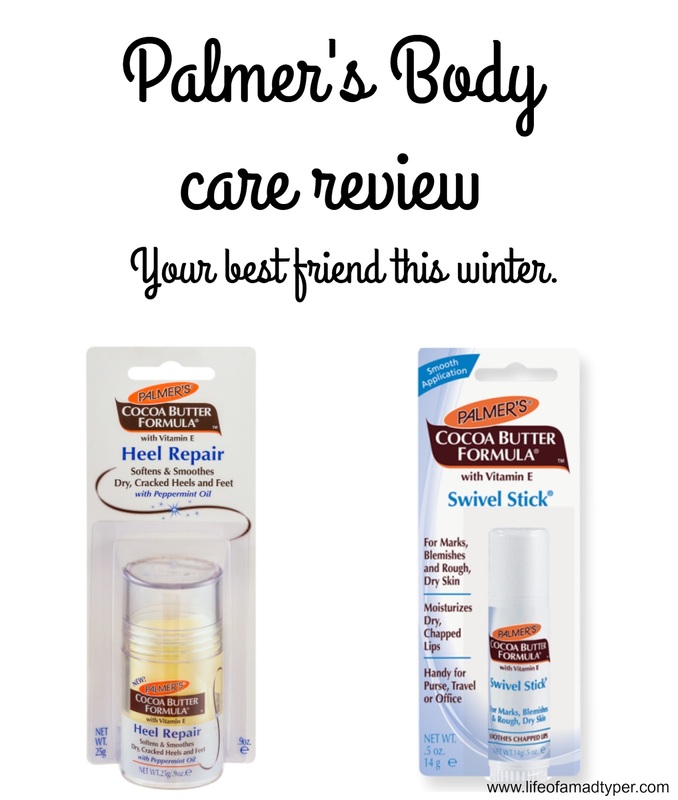 Find Palmer's products online and in most local stores!